This is an acrylic painting on a canvas. This painting measures 20″x 24″. 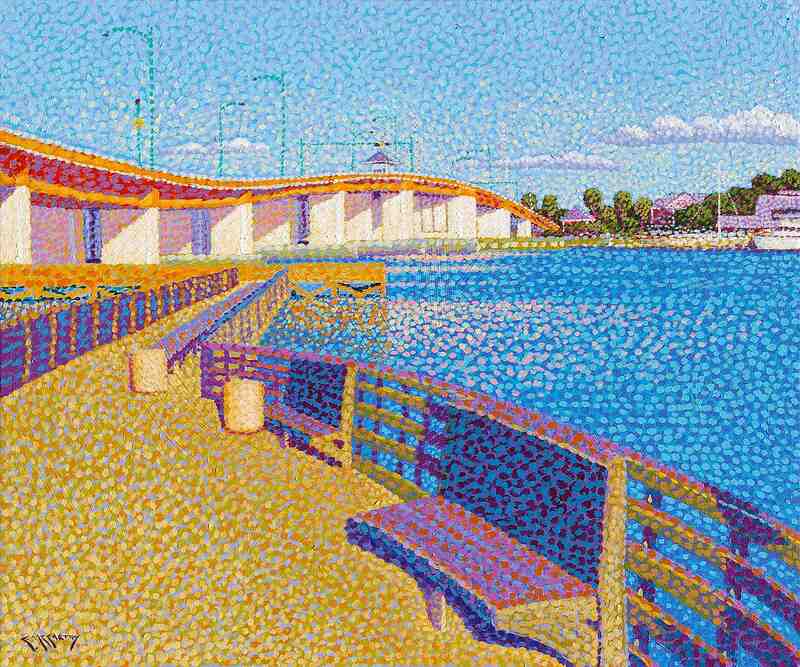 This painting depicts the gleaming stretch of a bridge crossing the Indian River, also referred to the Inter-coastal waterway. This view is the opposite side of the river from another painting I completed called, “Passage”. To get to the beach in this area, this as one route. A very slow but pretty drive, especially when you get to Flagler Ave. The other alternative about a half mile south, is much easier and quicker, if a bit less romantic the a drawbridge. I completed this painting using my more classical approach to pointillism. This painting is being sold unframed.